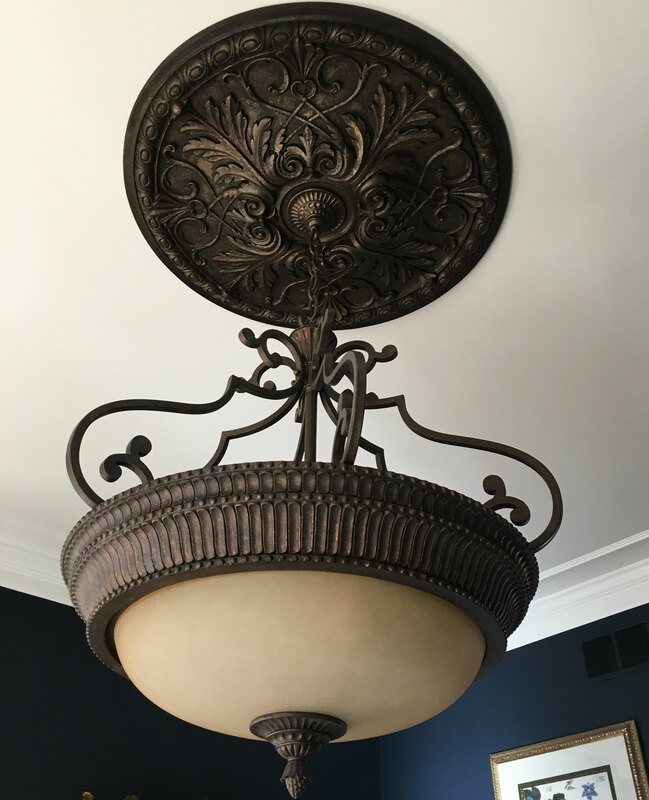 Martin from Wheaton, Illinois purchased an Ekena Millwork Tristan Ceiling Medallion not too long ago and just sent us his finished project picture. Wow. It looks amazing. He painted the ceiling medallion an antique bronze color to match the light fixture. There was a seamless transition between the end of the ceiling medallion and the beginning of the light fixture. 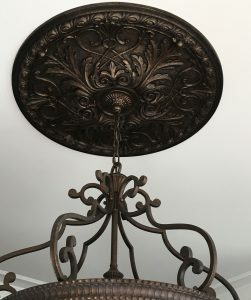 The fine details of the ceiling medallion mimicked the wrought iron braces of the light. Martin did a wonderful job on his project by making every detail count. The Ekena Millwork Tristan Ceiling Medallion comes in a standard factory primed white color that is easy to paint or apply a faux finish. However, there are so many more options to choose from that are available online. Customers can pick a colored finish, whether or not the medallion is split in two or whether there is a center hole drilled out. The combinations are endless, so finding the right ceiling medallion for your next home improvement project will be easy. Feel free to check out the full collection of ceiling medallions online via the link below!